Let me show you what it means to love. Carigamers partners with WTFast to get you on the Gamer's Private Network. Their edicated staff work tirelessly to optimize your gaming connection end to end. The app also allows you to customize the connection and choose the best routes for an improved gaming experience. Here is a video to explain ! Here are just some of the supported games. 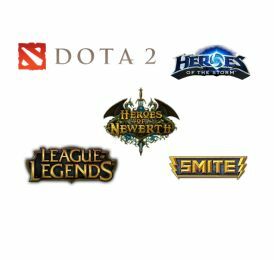 GATT members have been using WTFast to reduce high latency in MMOs and MOBAs such as Dota2 , LoL ,WoW, GW2 , Smite, Blade and Soul etc. Based on their feedback, we now endorse the product as a proven arsenal in the fight against lag. Giveaways and contests for WTFast premium keys are coming very soon. Try it out for free now. Click Here!